Midnight, meet us on at Navy Pier for an all out, all white fiesta on #TheLake. We’re sailing atop the Spirit of Chicago for a night of incredible fun, luscious drinks, great music, and breathtaking views of that ChiTown skyline at it’s finest. Tickets to this exclusive Chicago party won’t last long, so secure your spot on the yacht before it’s too late! 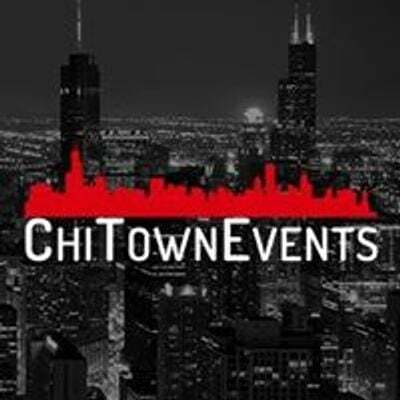 All White Chicago Party On The Lake! 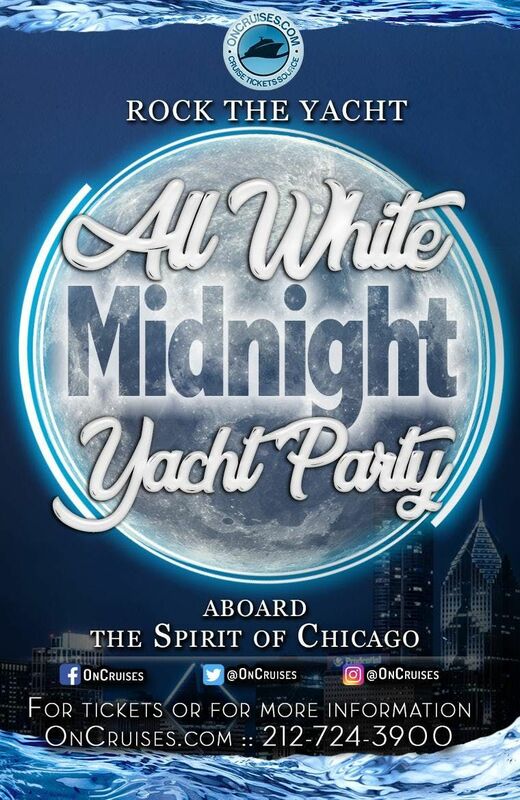 Enter the magnificent Spirit of Chicago Yacht and let’s make it a night to remember. We’ve got everything needed for an amazing night out, including the perfect venue. The Spirit of Chicago a huge, stylish yacht with climate-controlled interior decks, killer sound system, multiple bars, and a sky deck where you can bask in the views of ChiTown from a distance. From the moment you walk in, you’ll hear the sounds of our live DJ cutting it up with a mix of the latest and greatest in hits, bangers, and anthems. Make your way to one of the bars on the ship and let one of our bartenders take care of you. Just make sure you don’t spill anything on anyone, or yourself for that matter; this is an all white affair after all. Come on, get social with us! You should really share all those incredible memories you’ll capture with the rest of us on the internet. It’s only the right thing to do; but don’t just post em’, tag us in those pics and vids on Instagram, Facebook, and Twitter. Don’t forget to use #YachtyOnTheLake so everyone knows where to find the real Chicago party! 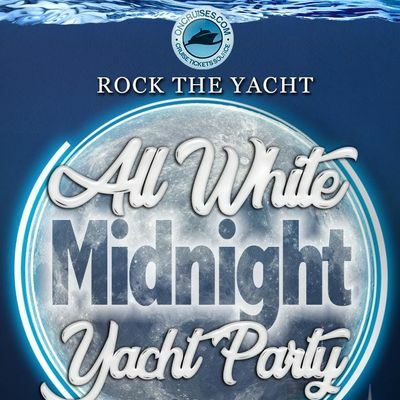 General Admission – Enjoy a sweet all white yacht party with the Chicago party pros! Couple Package – Enjoy an awesome night with a special someone. Dress code is optional! You will NOT BE TURNED AWAY at boarding if you are not wearing all white. Okay, so now you’re all caught up on the festivities going on. Now go tell some friends, sort out those plans, and order those tickets! Reserve your spot sooner than later, because tickets will be moving fast.